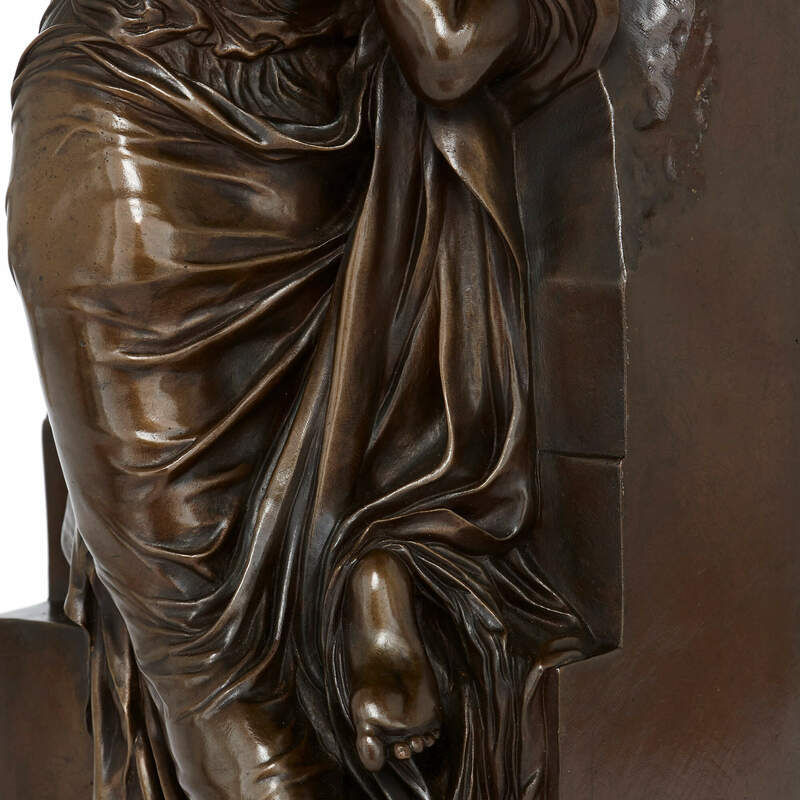 This stunning 19th Century bronze sculpture was created by two French master artists: sculptor Henri Chapu and famed metalworker Ferdinand Barbedienne. 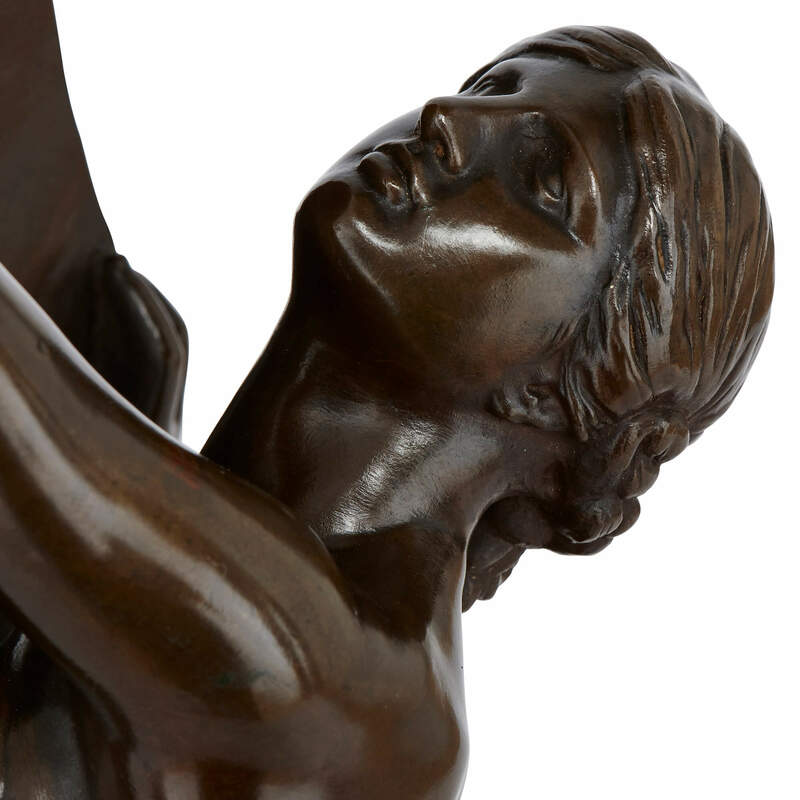 This remarkably lifelike sculpture, titled 'La Jeunesse', depicts a young woman dressed in swathed Classical-style clothing reaching up to the top of a wall, clutching a laurel branch as though to place it at the summit. Her up-stretched hand falls just short of the top of the wall. The composition embodies a certain longing and human fragility, and is a remarkably emotive work in its simplicity. 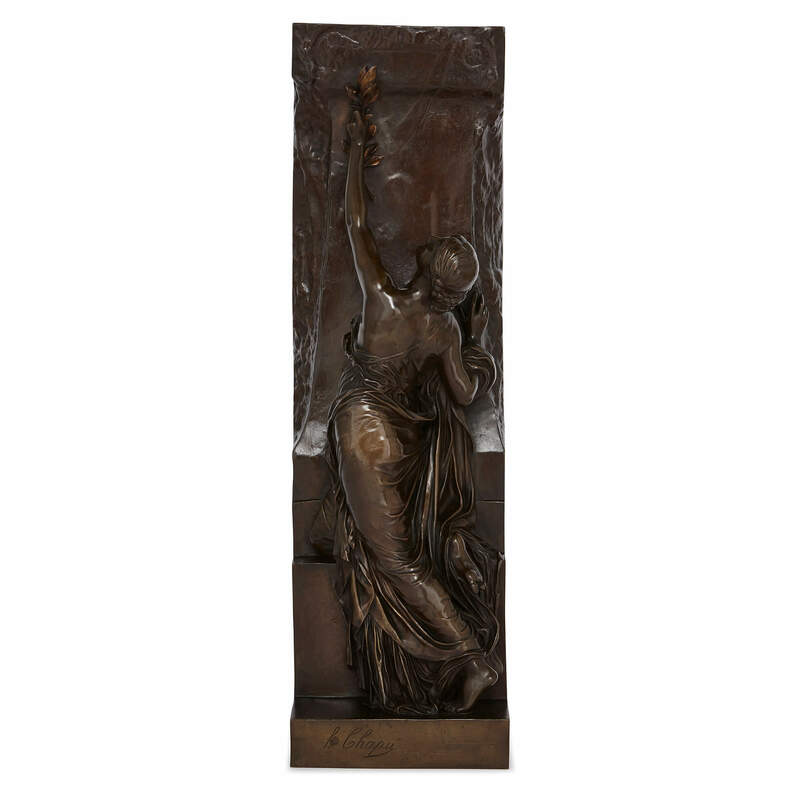 The maker of this work is the sculptor Henri Chapu (French, 1833-1891) and the original edition was worked in white marble as the centrepiece for a monument to the painter Henri Regnault (French, 1843-1871) who, after gaining acclaim in the Paris Salon for his Orientalist works, died in battle fighting in the Franco-Prussian war. 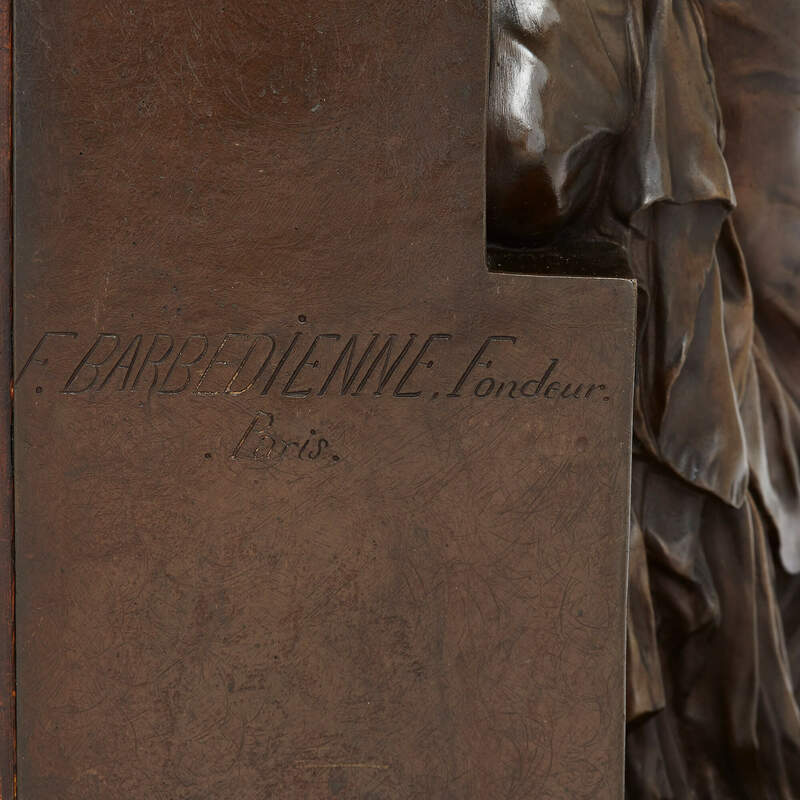 The marble is held at the Ecole des Beaux-Arts in Paris, France, where it is situated underneath a bust of Regnault. 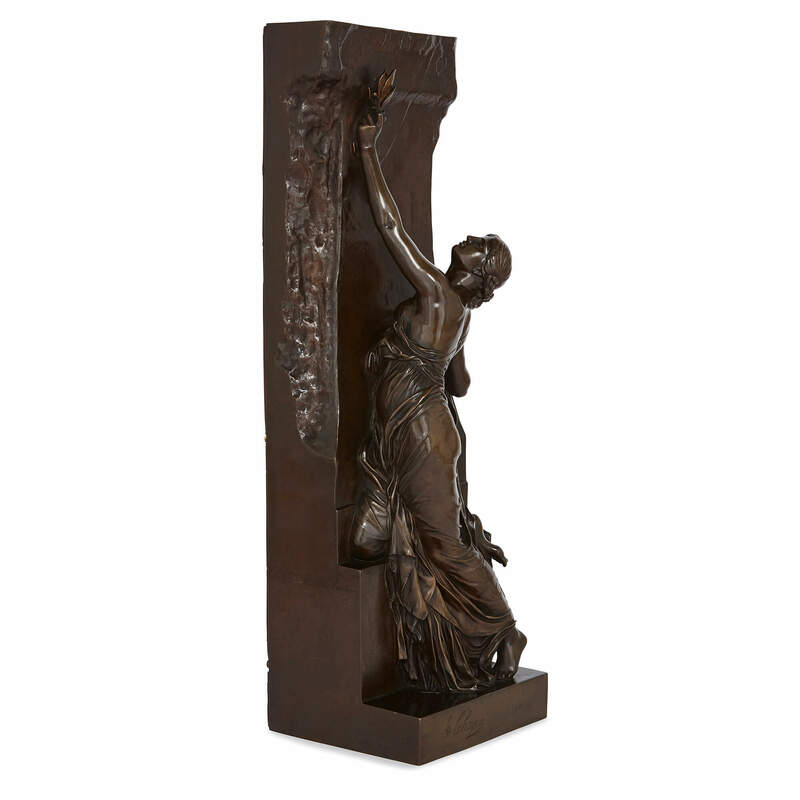 This work was cast after the original by renowned and celebrated French metalworker, Ferdinand Barbedienne, and thus combines the creative efforts of these two masters of their crafts. 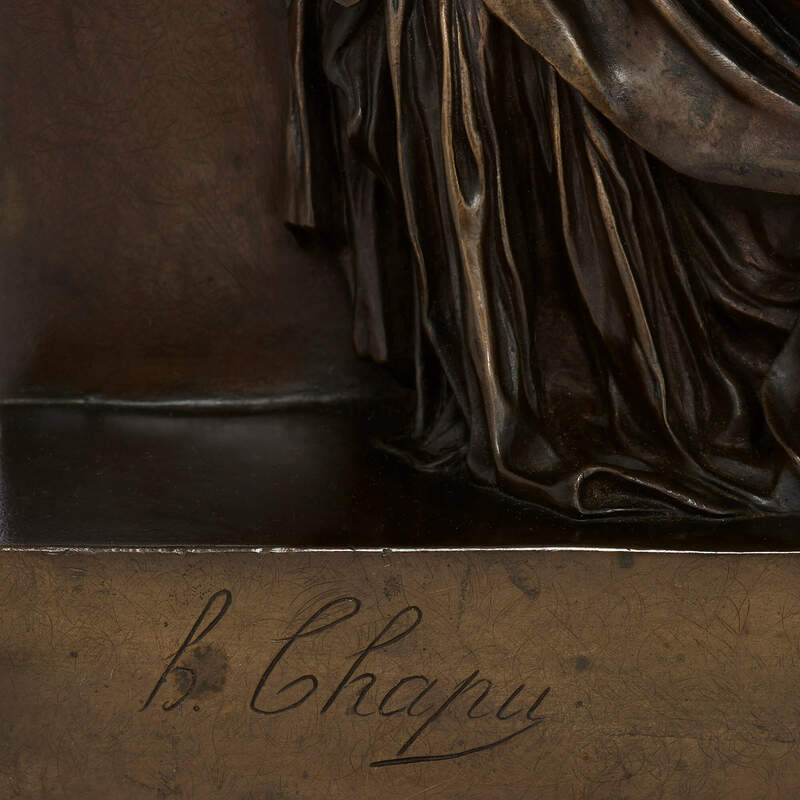 The sculpture is signed to the lower front 'H. Chapu' and to the side 'F. BARBEDIENNE, Fondeur. Paris'. 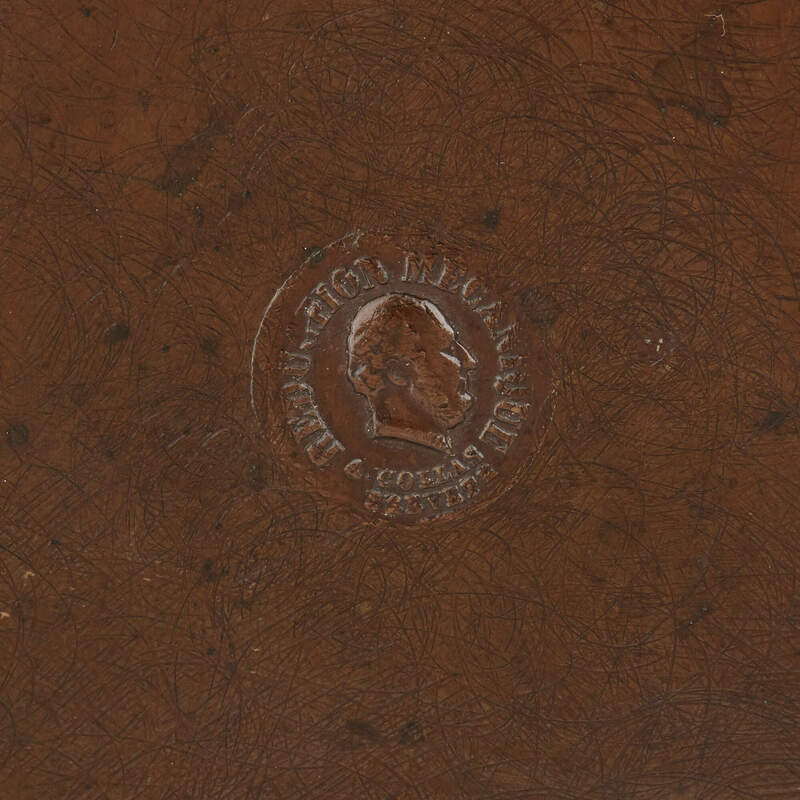 The sculpture is also impressed with the profile stamp of A. Collas, who worked alongside Barbedienne.